A recent example of Click for St. Nicks ongoing program in helping people where needed with a basket of basic food for the family was in helping this lady I’ll call “D”. She has struggled in the corner of the world where she lives. She lost her husband to another unsolved homicide near where she lives. 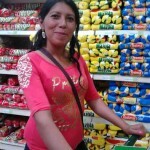 In losing the breadwinner of her family she took to looking for work and odd jobs to make ends meet. She is a very enterprising woman and has fought for her son and daughter. SOR Mission was able to help her recently with some funds that came in for Click for St. Nick. 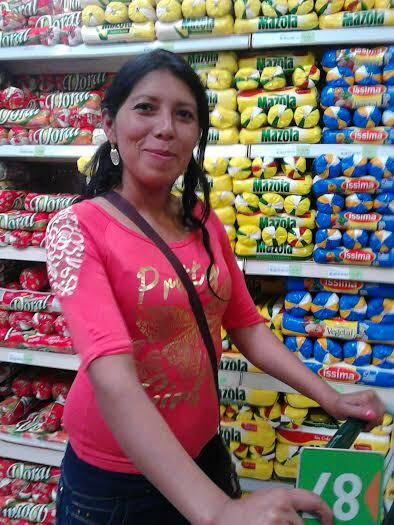 We were able to help her purchase a basic food basket for her family at a local store. She wanted to thank everyone who has had a part of this great program. Thanks for your partnership.